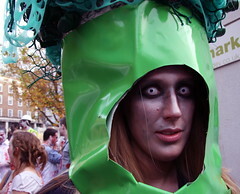 Amazing pictures from the Halloween Zombie Walk in Bristol. Have a look. This is me in my zombie broccoli costume.